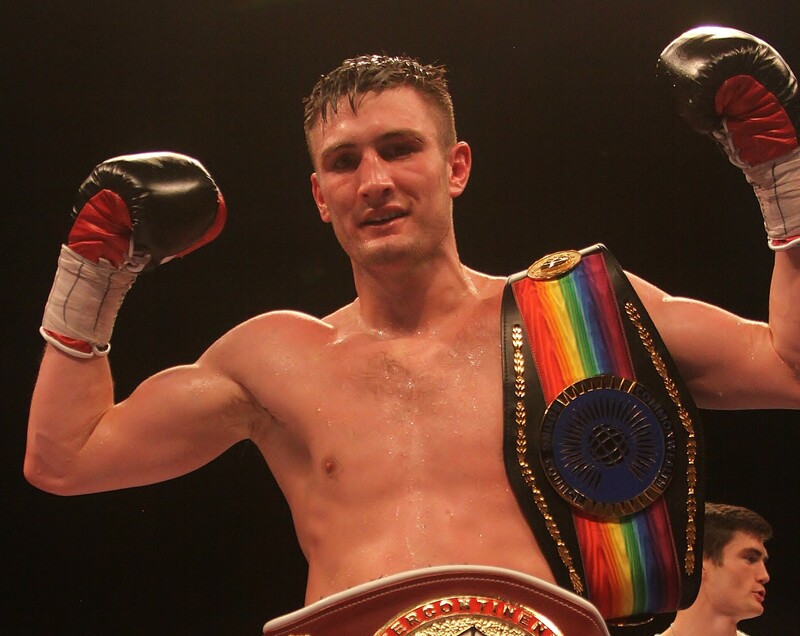 Tommy Langford defends his British Middleweight Title against Jason Welborn at Walsall Town Hall on Friday, 4th May. ‘The Baggies Bomber’ faces fellow West Bromwich Albion supporter, Welborn, on BCB Promotions’ ‘Neutral Ground: Battle of the Baggies’, sponsored by Alliance Scaffolding and Grosvenor Casino Walsall. Langford defended the Crown he won when he defeated Sam Sheedy (back in November 2016) earlier this year as he recorded a unanimous points victory over Jack Arnfield. This will be his second defence off the Lord Lonsdale belt and his first fight in the Black Country since 2015. Welborn is himself coming off the back of a career-best victory over Marcus Morrison. The 31 year-old beat the previously unbeaten prospect to claim the WBC International Silver Middleweight Title and enjoyed a keep-busy fight, routine win over Cristian Hoskin-Gomez at the tail end of last year. It’s an intriguing contest between two local fighters who are ranked third and fourteenth in the Country respectively. Chief Support is Doncaster Heavyweight, and Twitter sensation, Dave Allen. The 26 year-old has fought the likes of Dillian Whyte and Luis Ortiz and is coming off the back of a technical draw in his rematch with Lenroy Thomas for the Commonwealth Heavyweight Title. Allen is joined by BCB’s latest signing; Midlands Area Middleweight Champion, Tyler Denny. Denny, undefeated in his opening nine professional fights lifted the Midlands strap at the Town Hall last year as he defeated the previously unbeaten Tom Stokes in a Midlands Fight of the Year Contender. Walsall’s female featherweight sensation, Rachel Ball, is also in action. The former world kickboxing champion will be looking to make it a hat-trick of win since turning over to professional boxing late last year. Swadlincote super welterweight, Ross Hollis, and Birmingham trio Kane Baker (super lightweight), Ijaz Ahmed (bantamweight) and Shaka Thompson (super middleweight) complete the card. Tickets, priced at £50 standard unreserved and £150 VIP Ringside, are on sale now from the Walsall Town Hall Box Office 0845 111 2900. The weigh-in and aftershow party will take place at Grosvenor Casino Walsall, Bentley Mill Drive, Walsall (just off junction 10 of the M6).